Usually celebrated on the first Thursday of November, International Stout Day pays tribute to the stout, a popular type of beer. 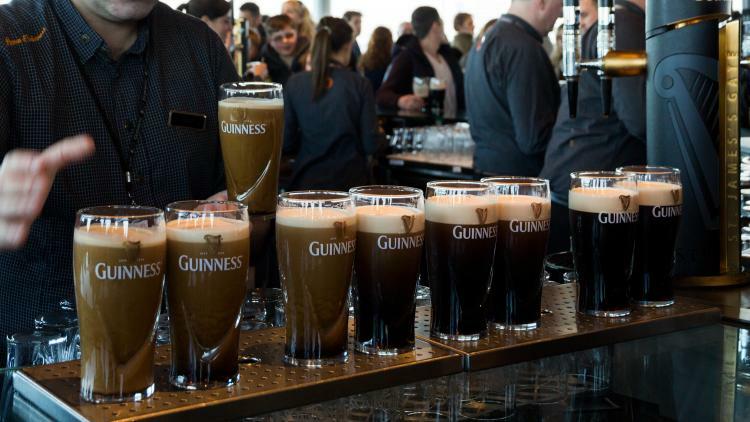 Guinness is one of the world's most well-known stouts. International Stout Day, whose creator is unknown, was first celebrated in 2011. It has gained in popularity over the years, with bars and breweries holding tasting events, brewing classes, and special happy hours with discounted stouts. Historically, stout beer was considered to be a type of porter—a dark beer made from brown malt first introduced in London, England in the 17th century and popular throughout England and Ireland. The stronger and darker porters with more alcohol were called stout porters. Eventually, stout porters gained a faithful following, the word porter was dropped, and the beers came to be known only as stouts. Stouts are usually made with roasted malt or barley, hops, water, and yeast. They tend to have a higher alcohol content, though not always. Guinness, one of the world's best-known stouts, has about 4.1 to 4.3% alcohol by volume (ABV). Most stouts tend to fall between 5 to 8% ABV. As this type of beer became popular around the world in the 17th and 18th centuries, brewers started experimenting with fermenting conditions and ingredients to create several different kinds of stouts. For example, Milk or Sweet Stout is made by adding lactose, while Oatmeal Stout is made by adding oatmeal to the ingredient list. Other varieties include Russian Imperial Stout, American Stout, and Dry Stout. Gather your loved ones and visit your local brewery or bar to participate in a stout beer tasting. If you are a home brewer, why not take the opportunity to make your own signature stout at home? Don't forget to share with friends and family. Learn more about the history of beers in general and stouts in particular. …that beer enthusiasts use the word zythology to refer to the study of beer and beer making? The word cannot be found in a dictionary but is popular among those who brew and drink the beverage. It comes from the Greek words zythos, meaning beer, and logos, meaning study. Acknowledge the fact that common sense is not all that common among people. The holiday honors the life and work of the inventor of the Saxophone and celebrates the music instrument that occupies a prominent place in jazz and military bands around the world. The unofficial holiday promotes the involvement of men in the kitchen and other household chores and activities. This fun food holiday is dedicated to the popular sweet snack that is made by covering almonds with dark chocolate.